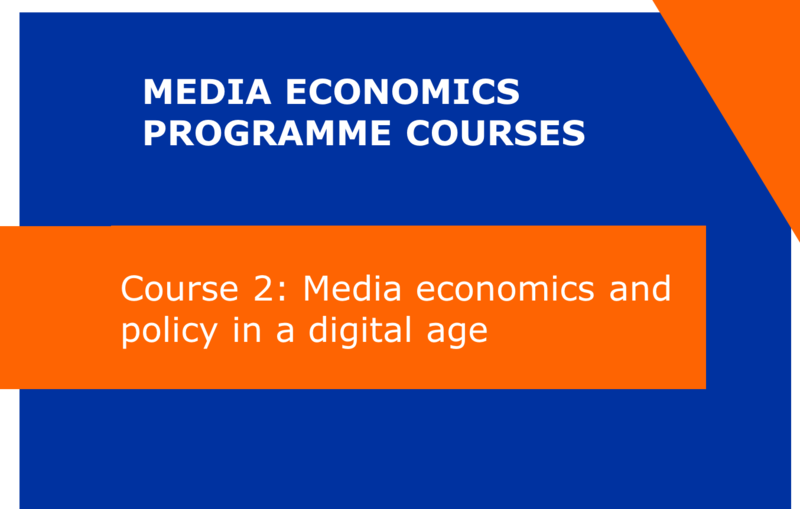 Course 2 sheds light on the complex interplay between media economics and policy in a converging media landscape. Where policies used to exist in neat silos with separate regulation for broadcasting, telecommunications and ICT, the boundaries between these sectors are blurring. That provokes new policy making or an adjustment of the way in which certain policies like competition law are being applied to the media sector. Focus is on the different aspects of the European Digital Single Market policy framework and how it affects the media sector, competition policy and on specific trends in national media policies. Course 2 is an elective course for participants of the full Postgraduate programme. Acquire knowledge of the main policy instruments affecting the media industry. Acquire knowledge of the trends in European and national policies. Understand how policies affect day-to-day business of media companies. Develop a personal stance on the interplay between media economics and media policies.